Boiron Childrens Coldcalm Cold Relief Pellets temporarily relieves cold symptoms such as sneezing, runny nose. It's Multi-Symptom Cold Relief Sneezing, Runny Nose, Nasal Congestion, Minor Sore Throat. 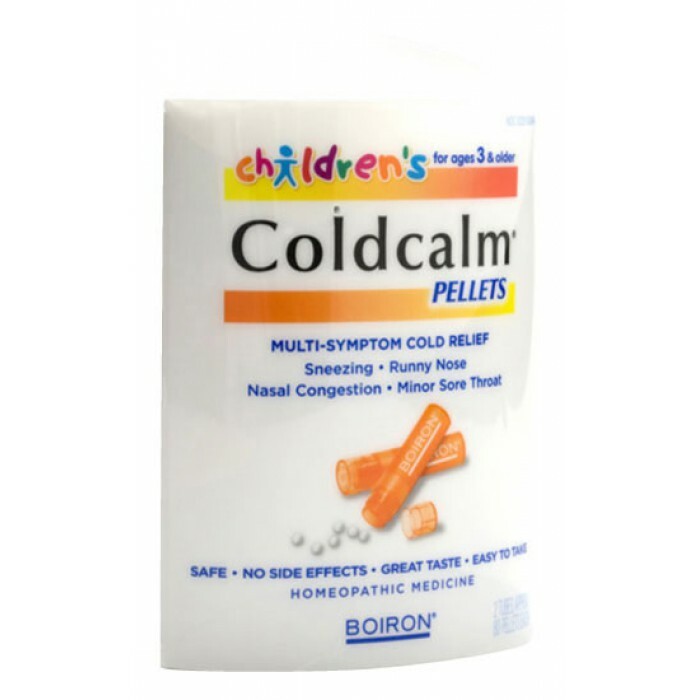 It also temporarily relieves cold symptoms such as sneezing, runny nose, nasal congestion and minor sore throat.